I'm sorry but I've temporally changed my sheet. It's a pictionary sheet and it previously contained 30 animal body parts. Some people reposted it online without giving me ANY credit and some are using it for monetary gain. Until I deal with them, the sheet stays as it is now. So, please, if you pinned it, unpin it. If you posted it on your website, you didn't have right to do it. Take it off, please. The ISL license allows others to use your work for personal or classroom use only. So, DON'T PIN IT, please! Thank you! 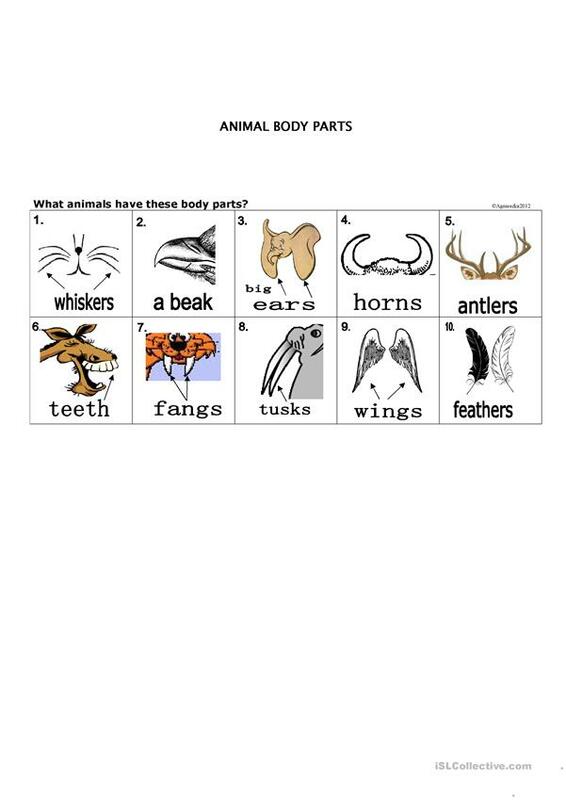 The present printable, downloadable handout is intended for high school students, elementary school students and kindergartners and nursery school students at Elementary (A1) and Intermediate (B1) level. It is aimed at revising HAVE GOT or HAS GOT in English, and can be used for honing your class' Writing skills. It focuses on the topic and words of Animals.